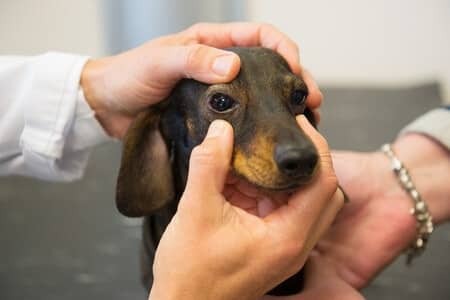 NOTE: Before continuing with the information of this page, it is important to consider that the majority of eye infection issues with dogs may be just a symptom of a much greater problem. If you see other symptoms such as – itching, inflammation, skin problems (rash, sores, hives, acne, blackening), ear infections, or Odor problems – these are all symptoms that would lead you HERE for further assessment & Help. 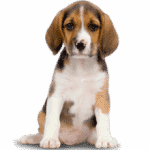 There can be many ways in which your pet can attain what appears to be an eye infection. It could range from a simple bacterial infection picked up from the environment, especially in or around the yard; standing water is a breeding place for many kinds of bacteria – especially the sort that will cause a Giardia infection (loose stools result). But, these or other bacteria present where your animal can make contact, can be picked up and easily transferred to areas like the eyes. Cats have a tendency to stick their paw into standing water as a way to prove what they are seeing; if that water is infected, then it could be easily transmitted to the eyes or other areas of the body. Eyes and ears are especially susceptible. Fungus infections can be picked up in similar manners. It serves no purpose to discuss all the ways in which an animal can pick up infections; suffice it to say, that they do. Probably the most common source of fungus infection that may affect your animal – is the classic Yeast Candida infection. This is an internal infection where the Candida fungus has taken over the Gut due to Flora damage, and the result will be external skin, ear, and eye problems that are caused by Candida toxins and cells being pushed out via the surface of the body. 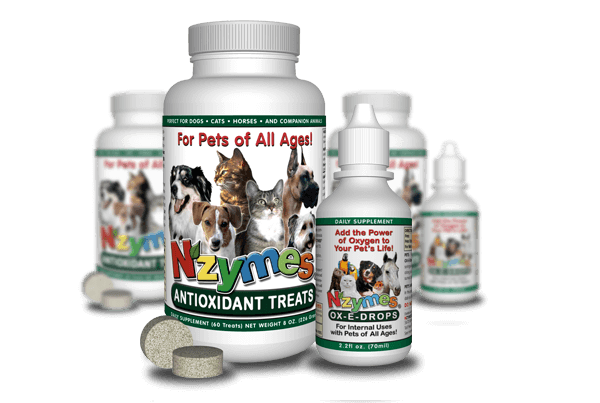 What is important here – is that there are natural NZYMES® products which we believe can quickly help your pet. If just a simple eye infection resulting from a random bacteria or fungus, the Ox-E-Drops (on the left) product may be extremely helpful when used in a 2% solution (98% water) directly in and around the eyes. Taking the product in the diet can assist if the infection is also internal. 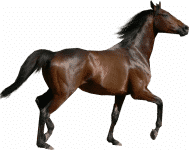 The NZYMES® Antioxidant Treats can be helpful from a different direction – helping strengthen metabolic processes – especially the immune system. If your pet suffers various other symptoms – such as skin or itching problems, or ear infections, the issue is likely much more complex, and you should examine this information before going further – What is a Systemic Yeast Infection?